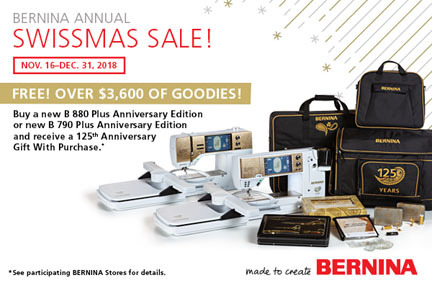 Now is certainly the time to let Santa know what Bernina Sewing Machine and Accessories you have on your list. 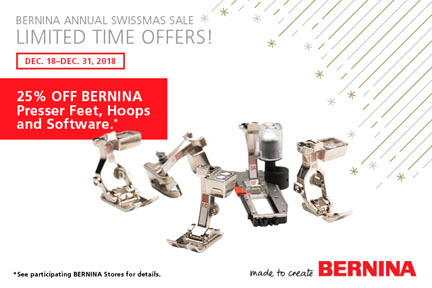 Look below for great deals all season long! 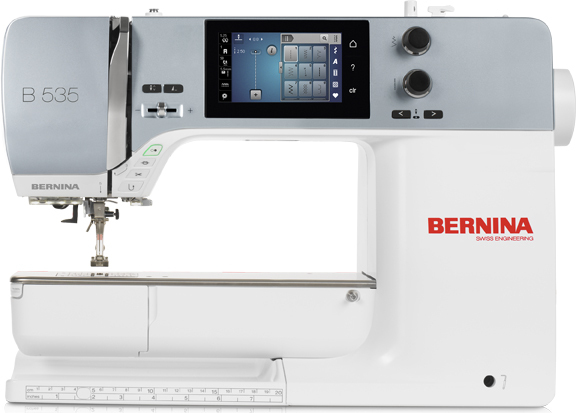 Swiss engineering and an all metal frame go into this lightweight, entry-level machine, which guarantees that your love of sewing will be passed down for generations. 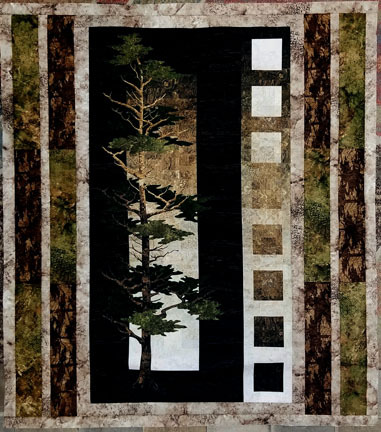 Shop Cortez Quilt and More for affordable quality rather than the frustration and disposability found at big box stores. We only have one B 770 Anniversary Edition in stock, and can't get any more! We have one 880 Anniversary Edition, and one 790 Anniversary Edition in our store. 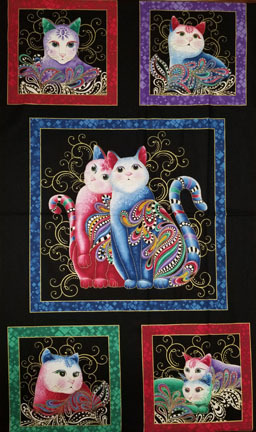 There are no guarantees that more can be ordered, as stock is at this first come. Don't delay if you have your eye on one of these models, and the great gift package that it comes with. 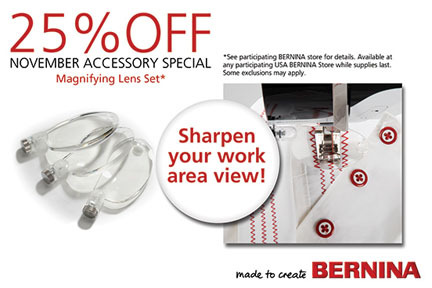 BERNINA’s practical Magnifying lens set sharpens your view of the work area. The set contains three magnifying lenses of different strengths, enabling you to choose the most suitable magnification for the project at hand. The lenses provide an optimum view when threading, and magnify the stitching area. This is especially helpful for precision sewing in tricky places. The magnifying lenses also make lighter work of embroidery, sparing your eyes and reducing fatigue. The Magnifying lens set also features a bracket (sold separately) for simple mounting to the sewing machine. 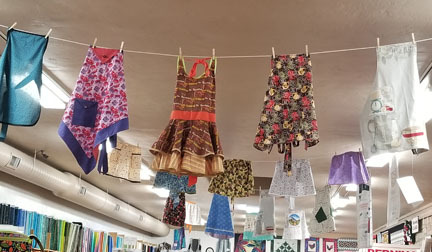 The Multiple spool holder can be mounted almost effortlessly on a wide range of sewing machines, and can also be switched between two machines with the greatest of ease. 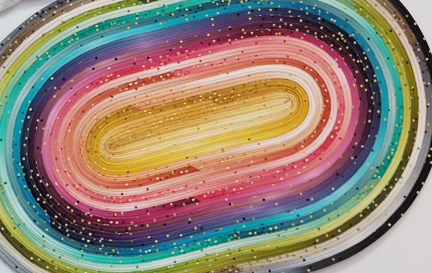 The holder has room for up to 15 spools, enabling quick access to threads of different colors. 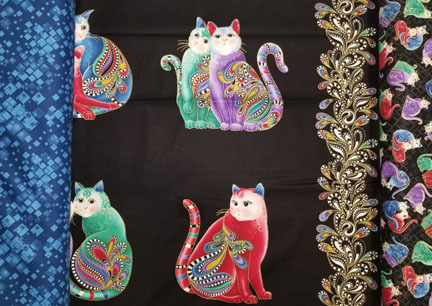 If need be, removing individual spool pins from the multiple spool holder creates room for larger spools as well as thread cones, enabling you to execute your sewing, embroidery and quilting projects more efficiently. 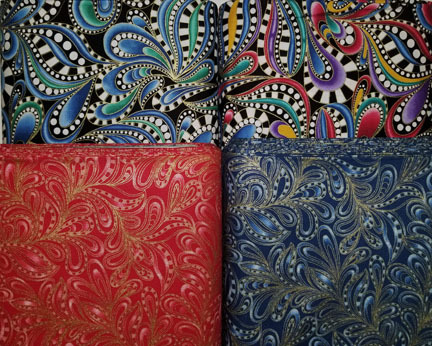 Quick access to a wide range of spools of different colors is a real time saver when working on multicolored embroidery designs. 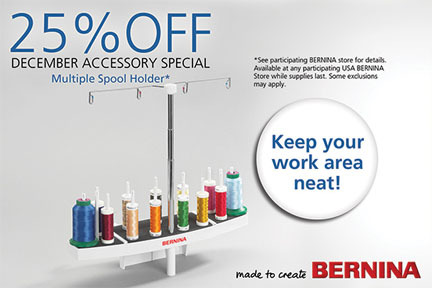 Also, the multiple spool holder’s telescopic thread guide can be adjusted upwards: the thread has a longer path to the needle, allowing difficult threads like metallics to untangle and flow freely before they reach the start of the sewing process. 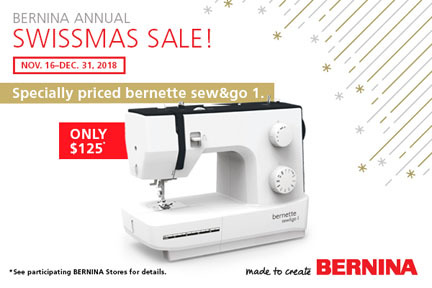 We are giving away a BERNINA 535! The drawing will be held December 22. There are a lot of ways to enter to win! Contest Rules: No Purchase Required! Contest open only to US residents age 18 or over. Taxes are to be paid by winner. Need not be present to win. Winners will be notified by telephone and/or email. 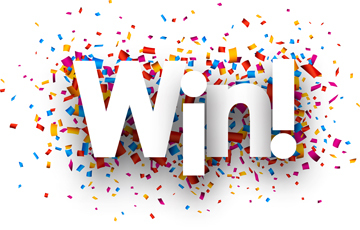 Valid phone number or email address required to win. If winner is unable to be reached and does not respond within 24 hours, then the prize will be awarded to another entrant. Please join us on Friday, November 23 for our annual Customer Appreciation Day. Come in from 9 a.m. – 5 p.m. to pick up your CAD card when you spend $25. 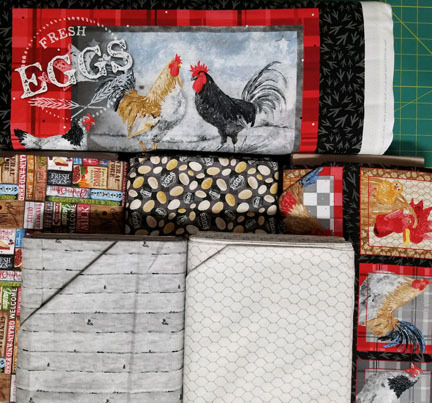 It’s good for 12 free yards of fabric throughout 2018 (one yard free when you purchase three). New for 2018 – You may call in on Friday to purchase a gift certificate, and receive your CAD card. A second option if you will be out of town on Friday is to ask a friend to come in and spend $25 on your behalf to get your card. No advance sales. While you’re here, be sure to fill out your Holiday Wish List and be entered to win a $25 gift certificate. We’ll send your completed Wish List to the Santa of your choice. Don’t risk receiving something weird for Christmas this year. 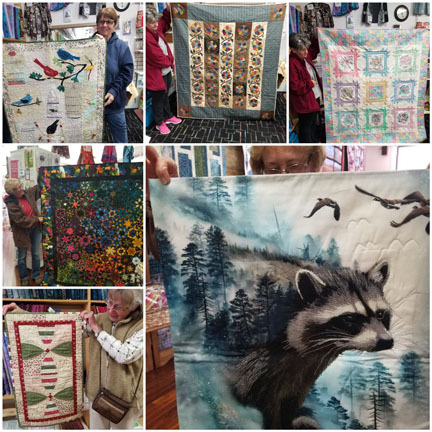 Get a gift you really want from Cortez Quilt Company and More! 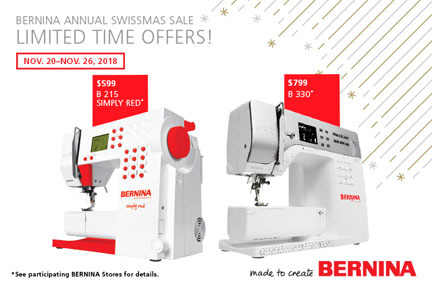 *We will have previously loved BERNINA sewing machines specially priced to go to their new homes. 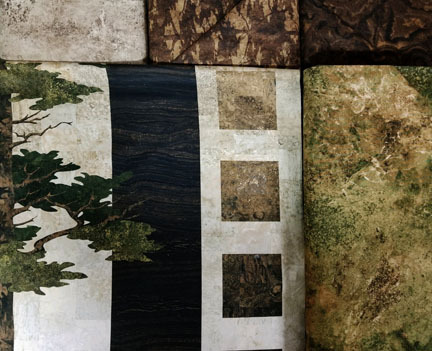 *Enjoy an extra 10% off of your purchase (machines, furniture and gift certificates are excluded). 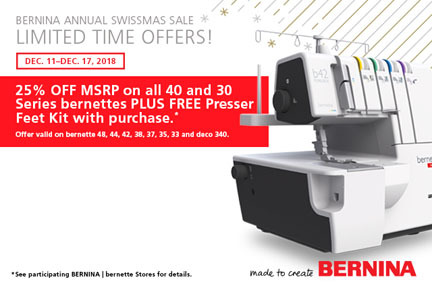 This offer is for in-store purchases only. 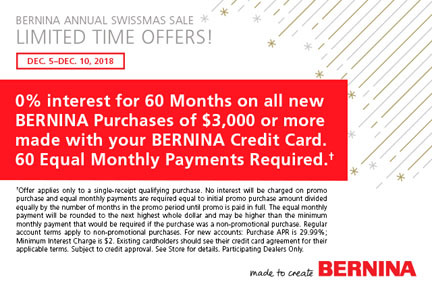 To receive a CAD card, your total purchase after the 10% discount needs to be $25.00. 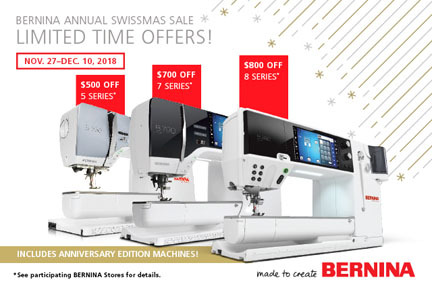 *Schedule your next machine service in December or January, and save $10.00. *Sign up for a new class pass for the special price of $55.00. Class Passes are not activated until your first class. 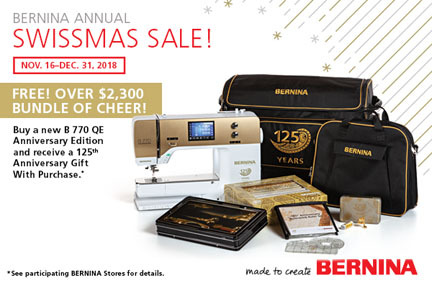 You will also receive an extra entry to win our BERNINA 535 if you come in to Cortez Quilt Company and More on this day! 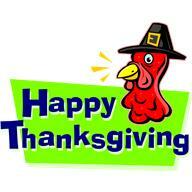 We will be closed for Thanksgiving, and hope you enjoy the day with family, friends, and food! See you on Friday. We are very thankful for each one of you! 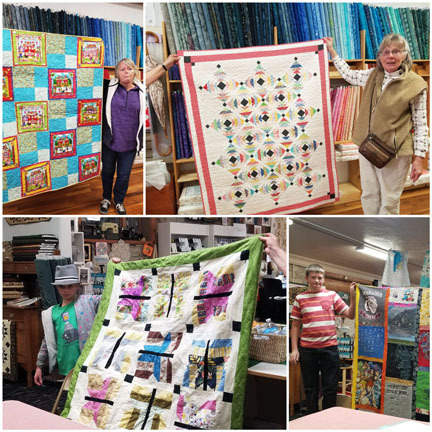 As you can tell from the sample of pictures below, wonderful projects were completed during our recent UFO Challenge. Great job to every project that were completed, especially the ones that were several years in the making! Due to popular request (actually begging) we will host a winter UFO contest that will run from January to April. Stay tuned for further info! Many, many thanks to everyone who helped make today such a special day! 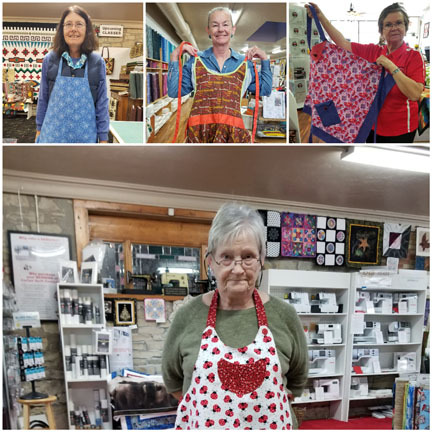 We had several customers who created and donated aprons. 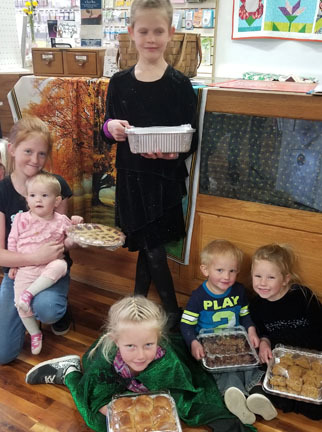 Battle Rock 4H Club baked our desserts. Suzanne came and helped deliver. 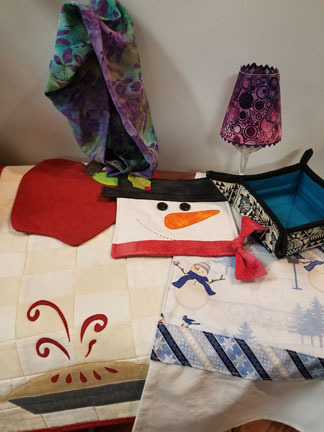 All of our recipients were very grateful and loved their gifts. 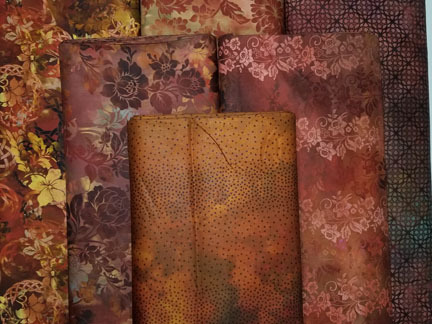 We can't wait for you to see all our new fabric collections that have just arrived! 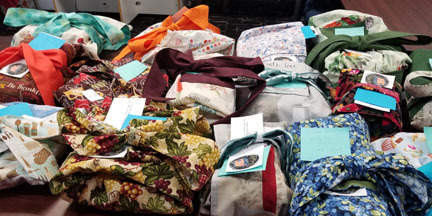 We have fabric, bundles, kits... just in time for Christmas! 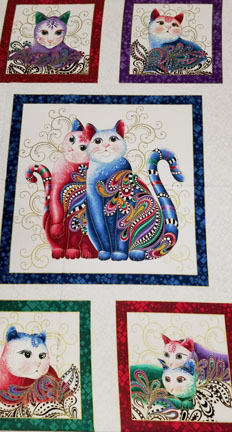 These pictures are just a quick peek - several arrived barely in time to get in the newsletter. 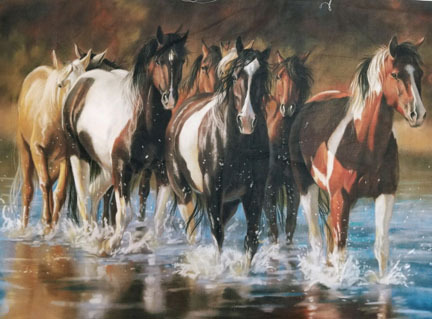 Come by and see them in person! 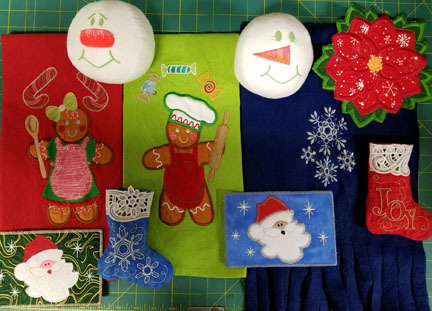 We have a ton of fun projects for you to embroider as gifts for your loved ones (of course you may like them so much you can’t stand to give them away). 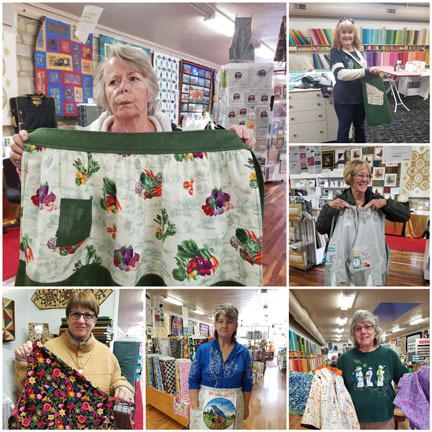 Call now so that we can have your patterns ordered for you! 10:00 a.m – 5:00 p.m. 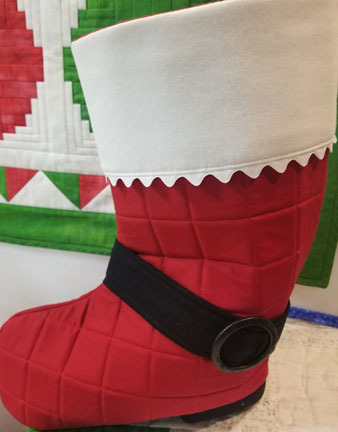 This stand up Santa boot is perfect for holiday decorating. Fill your boot with treats for a Christmas morning surprise or fill with greenery for a gorgeous centerpiece! 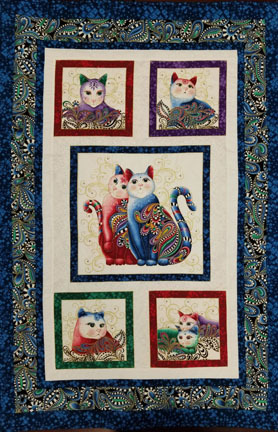 These rugs turn out fabulous no matter what style of fabric you pick. You now can choose round, oval, or rectangle as the shape of your rug. Sarah will lead this class. "When I started counting my blessings, my whole life turned aroungd."